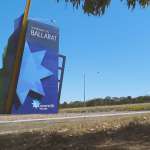 The City of Ballarat has jumped on board to support The Courier Eureka Rally, via a tourism event grant and assistance to bring the ceremonial event start to the very centre of Ballarat. The Courier Eureka Rally, round one of the CAMS Australian Rally Championship (ARC), will take place in and around Ballarat on 3-4 March. Michael Smith, CAMS’ General Manager of Motor Sport, said it was great to have the City of Ballarat on board. “The Courier Eureka Rally held a successful inaugural event last year and we are very pleased to welcome the support of the City of Ballarat this year,” Smith said. The event will welcome Australia’s best rally teams as they embark on their 2018 championship campaigns and will also play host to the first round of the Victorian Rally Championship. Organised by the Ballarat Light Car Club, The Courier Eureka Rally will start on Saturday morning in Sturt Street and will span two days, with competitors travelling over 635 kilometres. Just on 215 kilometres will be on closed road special stages. Rally fans can check out the cars and drivers at designated spectator points over the course of the weekend and also at the service park, based at Ballarat Airport.